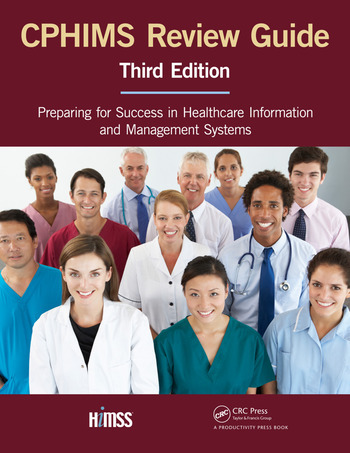 Whether you're taking the CPHIMS exam, or simply want the most current and comprehensive overview in healthcare information and management systems today - this completely revised and updated third edition has it all. But for those preparing for the CPHIMS exam, this book is an ideal study partner. The content reflects the exam content outline covering healthcare and technology environments; systems analysis, design, selection, implementation, support, maintenance, testing, evaluation, privacy and security; and administration leadership management. Candidates can challenge themselves with the sample multiple choice questions at the end of the book. Introduction. General. The Healthcare Environment. The Technology Environment. Systems. Systems Analysis. Systems Design. Systems Selection, Implementation, Support and Maintenance. Systems Testing and Evaluation. Systems Privacy and Security. Administration. Administration Leadership. Administration Management. Questions. Answer Key. Acronyms Used in this Book. 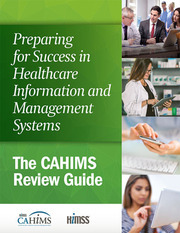 HIMSS is a global voice, advisor and thought leader of health transformation through Health IT with a unique breadth and depth of expertise and capabilities to improve the quality, safety, and efficiency of health, healthcare and care outcomes. As the leading source of Health IT, HIMSS designs and leverages key data assets, predictive models and tools to advise global leaders, stakeholders and influencers of best practices in Health IT so they have the right information at the point of decision. Through its HIT network of over 1 million experts, over 200 knowledge exchanges and collaborations, including 60,000 plus members, HIMSS drives innovative; forward thinking around best uses of technology in support of better connected care, improved population health and low cost of care. HIMSS is a not for profit, headquartered in Chicago, Illinois with additional offices in North America, Latin America, Europe, United Kingdom and Asia.